Cloud9 subbed in its entire Academy roster last night to round out the 2019 LCS Spring Split regular season—and the result was somewhat embarrassing for their opponents. Cloud9 Academy absolutely dominated Clutch Gaming, which brings up the question: How many other LCS teams could this Academy roster beat? Clutch had the opportunity to go out with a bang. They had a poor season, but they weren’t about to be taken out by Greyson “Goldenglue” Gilmer and a couple of unknown rookies, right? There’s no way C9 Academy could even go toe-to-toe with season three world champion, Chae “Piglet” Gwang-jin, and perhaps one of the most dominant top laners in LCS history, Heo “Huni” Seung-hoon, let alone win. But they did, and they crushed them, too. After just eight minutes, C9 Academy AD carry Yuri “Keith” Jew racked up four kills with Jinx and snowballed the bot lane out of control. 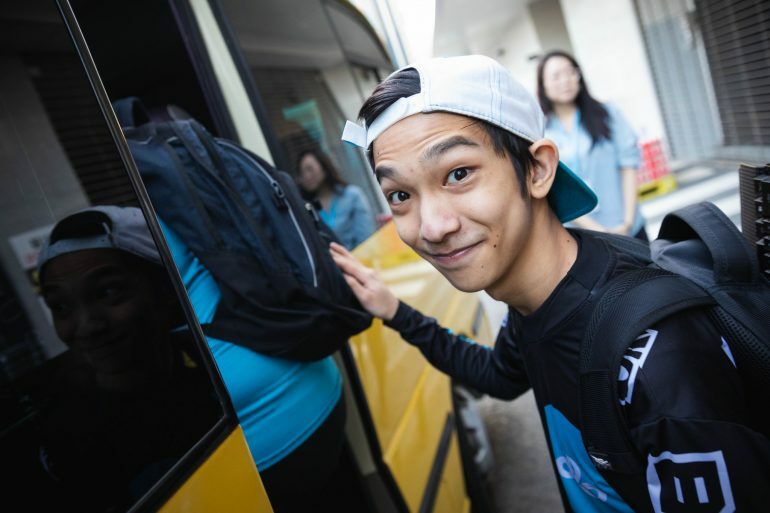 Cody Sun and Philippe “Vulcan” Laflamme couldn’t handle C9 Academy’s immense pressure, and they were swiftly stomped into the ground. It wasn’t just the bot lane, though—it was the mid lane, and the jungle, too. Clutch looked lost. They were outclassed and out of sync. Clutch were simply unable to keep up with C9 Academy. You’d expect C9 Academy to slow down after their early game performance, but they didn’t. They ran circles around Clutch. They took control of the map, they destroyed tower after tower, and quickly overwhelmed them. The team pressed on, and after 30 minutes, it was all over. C9 Academy had won. Clutch are hardly the best team in the league, but even so, C9 Academy proved that they’re a cohesive unit. A team with rookie talent is almost always lost in its first professional game on the LCS stage. They might be exceptionally-skilled online, but once they’re thrown into the competitive environment, everything seems to goes downhill. The traits of solo queue catch up with them. They trip up, they overstay their welcome and crumble under the pressure. They need the time and the patience to properly learn and appreciate the nuances of the highest level of play—but C9 Academy looked ready. The rookies of the team played their part, too. Top laner Ziqing “Kumo” Zhao and support David “Diamond” Bérubé played with confidence. You’d expect Huni to abuse Kumo in lane, but he didn’t. He didn’t even have the chance. Kumo did his job, and he did it well. Meanwhile, Diamond had an exceptional performance on Braum. He played comfortably around Keith and wasn’t afraid to engage a team fight. In the case of C9 Academy, they’re not just a team of rookies. There’s Robert “Blaber” Huang, and Goldenglue, too. They’re hardly the best mid-jungle duo in the league, but they’re consistent—and that’s more than what can be said about some teams. They were an integral part of C9’s 2018 comeback summer season, and while they didn’t perform on the world stage, they showed that they’re good enough to compete within the LCS. But is it really hard to imagine them beating CLG, OpTic, or 100 Thieves? They’re all just awful. They had a couple of good showings here and there, but they’re decent at best. They rattled their way through each of their games and scarcely kept it together. There have been some outliers in the case of CLG and OpTic—but at no point did they look like they were capable of qualifying for the playoffs. They had a few decent games, and CLG came close, but the top six teams in the league looked better. C9 Academy, on the other hand, were refreshing in their game against Clutch. They knew what they were doing and they followed through accordingly. If they can so convincingly defeat the ninth-best team in the league, why shouldn’t they be able to beat the eighth, the seventh, or the sixth? And do those teams truly deserve to be there, if that is the case? It really puts things into perspective.